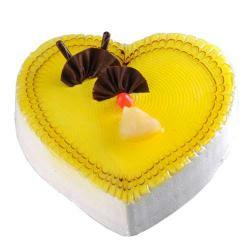 Product Consists: 1 Kg Round Shape Designer Vanilla Cake from Five Star Bakery. 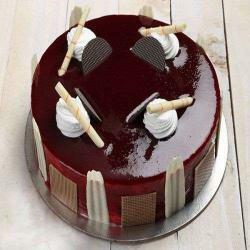 The taste of this cake cannot be defined in words. You need to taste this cake for understanding its luscious taste. This one kg cake is made of White Vanilla Cream with White Chocolate toppings and vanilla shaving coated around the sides of the cake. 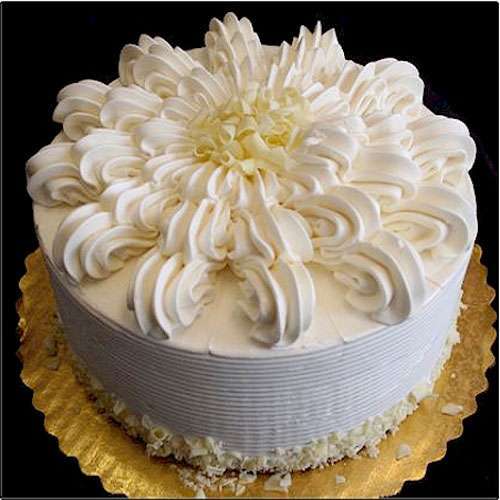 A moist sponge cake drenched with vanilla syrup and coated into a floral design on it will make a wonderful treat. 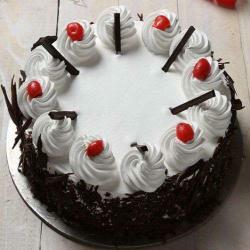 Giftacrossindia.com gives you a wide choice of flavors in cakes and helps you deliver cakes to India. You can gift this delight dessert to your foodie dear ones for the Birthday Bash, Farewell Party, Promotion Party, Anniversary Celebration and for many more. 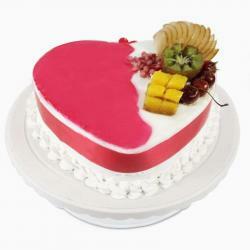 Product Includes: 1 Kg Round Shape Designer Vanilla Cake from Five Star Bakery.